Quick release, (single button). 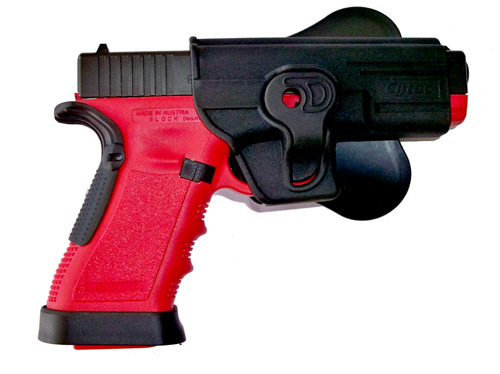 Fits Glock 9mm and TARA pistols, supplied with adjustable paddle platform, and can be fitted onto the belt loop. Supplied with allen key for angle adjustment. Reference Hol 45.